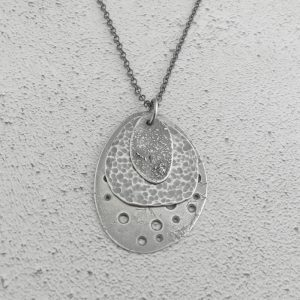 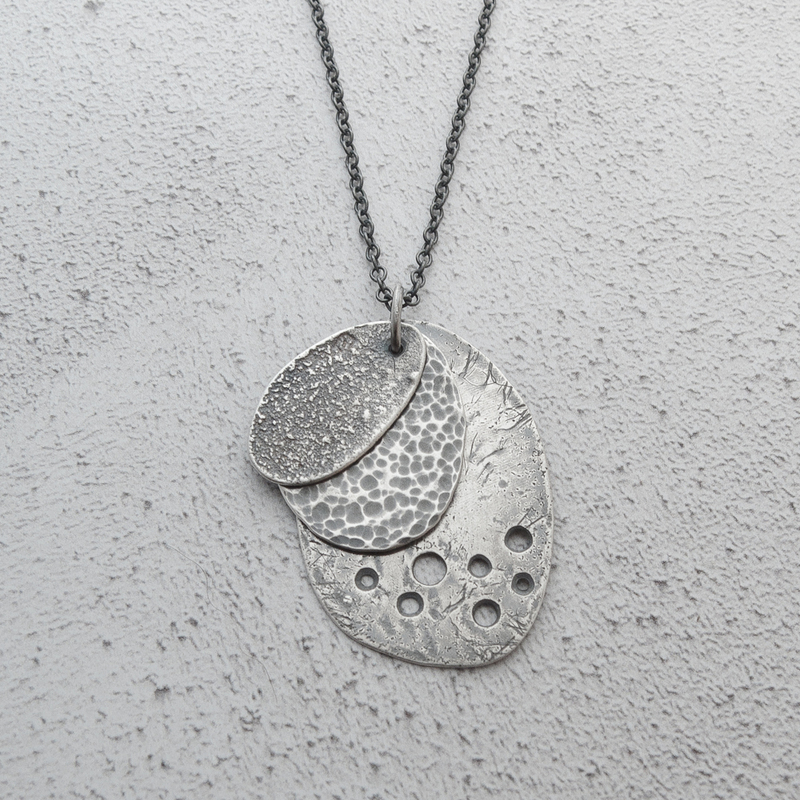 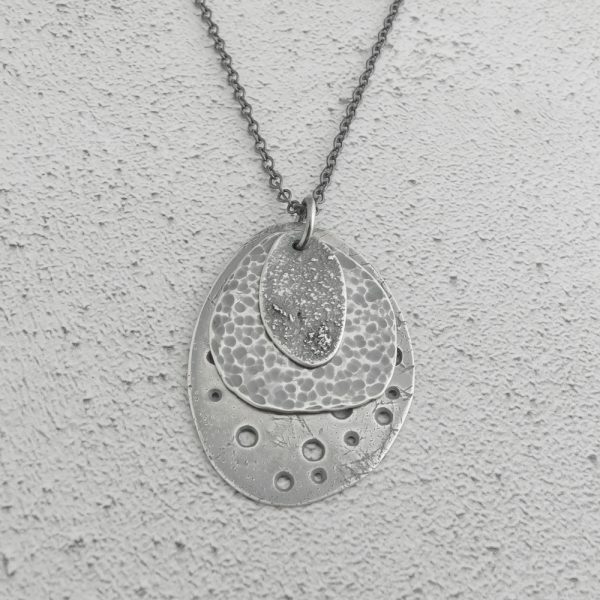 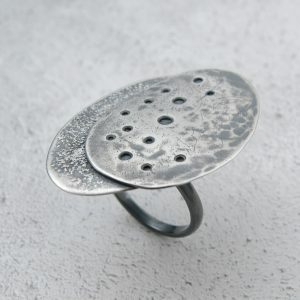 Textured Seashore Pendant handcrafted with individuality and uniqueness in mind. 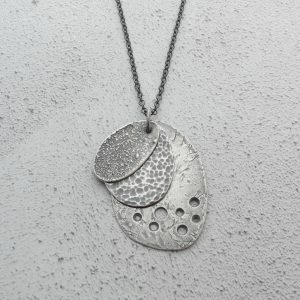 Each one of these Seashore Pendants is totally unique. Handcrafted from flattened recycled sterling silver teaspoons, three separate elements that capture the textures found on any coastal walk or adventure, hang from simple silver chains. 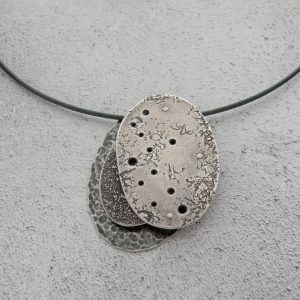 These pendants are suitable for everyday wear as well as special occasions and with a choice of chain length, the pendant elements can hang high or low and are perfect for people who like to play with their jewellery and enjoy tactile comforts of the textured surfaces. 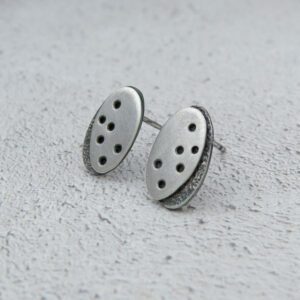 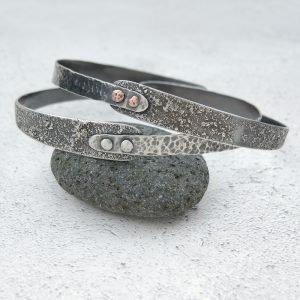 Inspired by the ripples in water, the patterns in sand and the surfaces of rocks and pebbles. These individual layers are loosely joined together to allow for movement and random positioning. 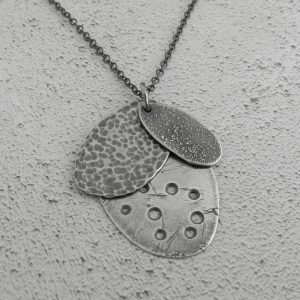 Each pendant measures approx. 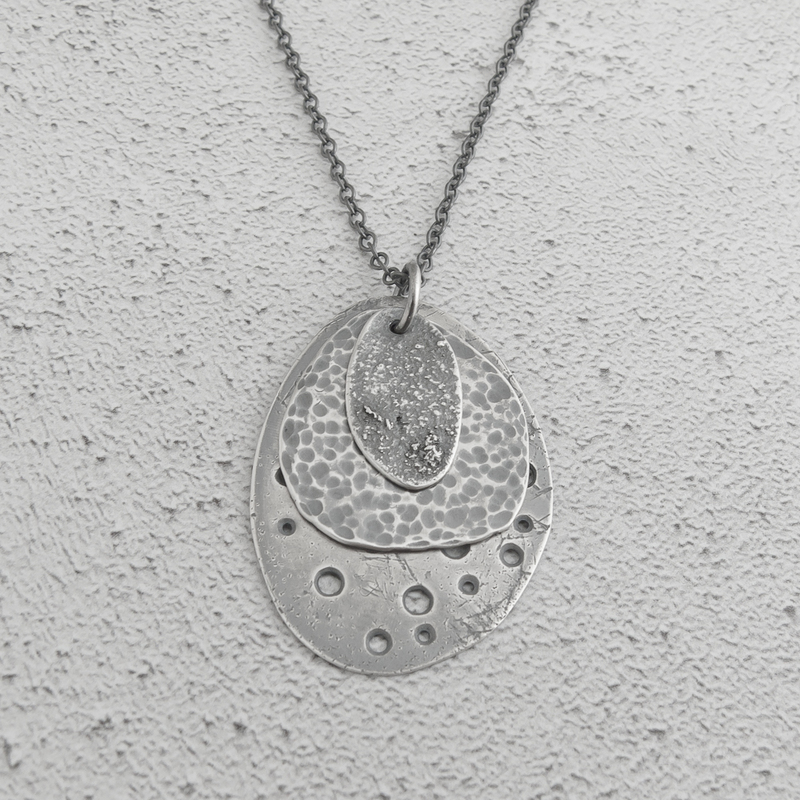 2.5cm x 3.5cm – sizes vary slightly depending on the spoons used. Choose from a 40cm or 50cm chain with a lobster clasp. 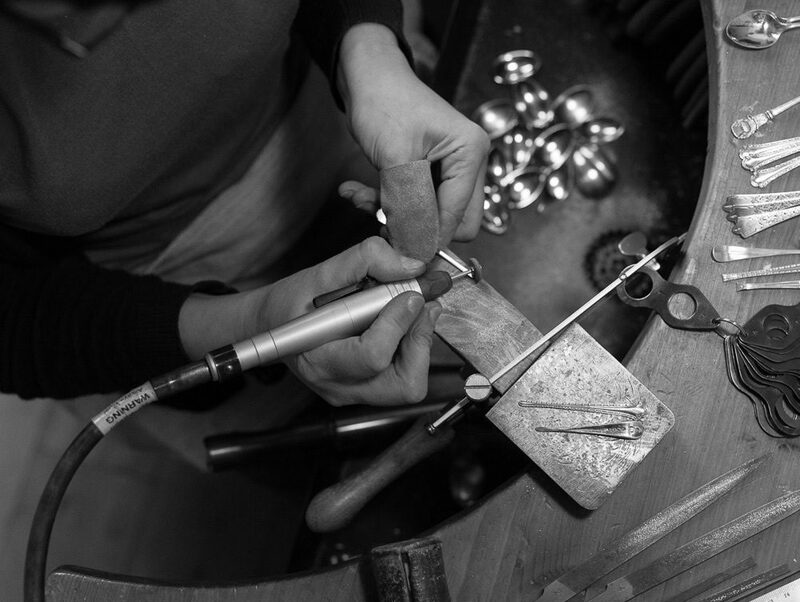 The photographs show an example of what you will receive – as each pendant is handmade, the one you receive will differ from the ones photographed.